Club Yicketty Yak is a speech and language therapy group that has been developed by Katrine Elliott, an experienced and qualified Speech Pathologist at Optimal Communications Speech Pathology. Optimal Communications Speech Pathology has been providing specialised communication assessment and support to the Gold Coast and surrounding regions for over 20 years and is now proud and excited to offer their new purpose build fantasy therapy centre called “Once Upon A Time Therapy“. Individually tailored speech therapy groups that support to bridge the gap to school for children with challenges with speech, language, listening, literacy and social skills. Club Yicketty Yak is held in the Club House, the Mad Hatters Art & Craft Room and the Genie Bottle at Once Upon A Time Therapy. The program has been developed to provide group speech therapy as never seen before and to support children with their speech, language, communication and literacy challenges. Club Yicketty Yak is developed and undertaken by qualified and experienced Speech Pathology professionals under the design and development of Katrine. The group aims to support children who are diagnosed with autism, down syndrome, hearing impairment, dyspraxia, phonological delays or disorders, articulation impairments, speech impairment, language delays or disorders, auditory processing impairment, dyslexia, dysgraphia, reading difficulties, learning difficulties and writing difficulties. The program targets children in their early education years or prior to school entry enabling an opportunity for a rich source of support to get children school ready. There is no set age in Club Yicketty Yak as children are screened fro the program and are recommended based on their skills that they require support with and their personal and individual goals. Some children may need support with social skills and pragmatic skills whilst other may need support with speech, language and early literacy skills. Some students who are in older years may attend for the benefit of leadership but also to catch up on vital information that they may have missed in their PREP, Grade 1-2 and 3 years. As group sizes are limited to 10 children with a high therapist support ratio, we are able to tailor the group to our participants needs enabling a better fit for goals and group outcomes. Club Yak Saturday… School years scaffolding and support, speech, higher language skills, project develop, social maturity and school learning confidence & maturation to develop leadership. Club Yak Tuesday– targets children with higher speech and language needs and in particular children who need support with social communication skills such as children diagnosed with mild to moderate autistic spectrum disorder who are our plan to be attending a mainstream education program. This program will have a greater focus on auditory processing, receptive languages kills and using language as a tool to learn effectively. The participants will be supported to learn in groups with other children and to realise who they are and how they may be similar or different from each other and other children with a greater focus on developing their social interaction and social confidence skills. The group offers significant structure to manage learning for listening skills development, speech-articulation skills, vocabulary and expressive language, attention, concentration and learning behaviour. 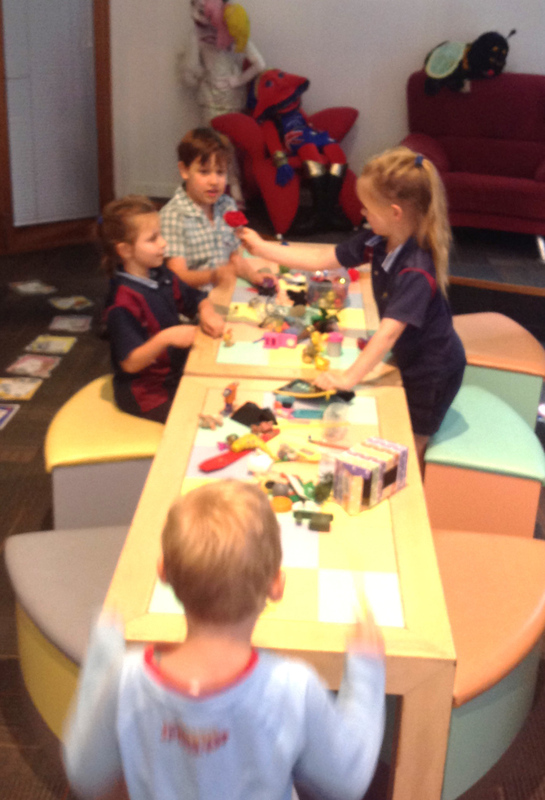 Club Yak Friday– targets children who are in kindergarten and are preparing for PREP or their Reception year and needing support in developing their foundation skills for school readiness to enable the optimum potential in their communication and literacy skills. The program has a focus on children achieving their foundation skills for literacy by learning phonological awareness skills and specific knowledge to support their speech and language skills. Social maturity for learning readiness with a focus on task directed behavior for great classroom listening capabilities and independent learning. Contact the Speech Pathology clinic on (07) 55 28 2222 or email us on info@optcom.com.au to make a booking for a Club Yak assessment or ask us any questions.